The decision to revisit Liceu came spontaneously and was triggered by simultaneous discovery of one January weekend without opera trip and opportunity to see acclaimed Willy Decker production I have not seen yet, with very tempting cast – Anna Catarina Antonacci, who impressed me in short and brave Sancta Susanna in Paris, together with Piotr Beczala as Werther, regardless of seeing and hearing him recently in Paris together with Elīna Garanča – even then was impressed by his progress since concert version in Salzburg. And, going to Barcelona at the end of January after dark and depressing Baltic weather is a tempting proposition per se. Unfortunately, flight options were limited thus the trip had to be relatively short, – just one full day with opera performance at the evening. Last year, visiting Liceu for the first time, the grandeur of the theatre had not registered in full, so, relatively early arrival for the performance offered an opportunity to wander around and discover it in more detail. The ticket I chose this time was in a more expensive category than my usual choice thus providing an opportunity for a very central viewpoint from the 2nd level balcony which also was perfect acoustically. The overtitles were provided in Catalan, while as I have observed there were seat back monitors in Platea or parterre, supposedly offering a wider choice to patrons there. The staging of the production is done in romantically expressionist style, and especially lighting and colours play the most significant role. The contrasts of blue, encompassing family values and commitments, are in stark contrast with sunny yellow, the world driven by love and emotional decisions. The intensity of both contrasting colours is so intense as the feelings of main protagonists. Stage direction emphasises the divide of belonging and affection through the use of playing blocks reminiscent of traditional architectural shapes of houses and churches, and location and size provide for more hints of the directorial intent. The moving dividing wall, sliding back and forth is another tool of conveying the message of each scene, especially when newly introduced secondary role players are actively involved in the storytelling. The traditional use of comically interpreted characters Schmidt and Johann is portraying them as a village drunkards. Willy Decker upgrades the roles into storytelling collaborators, dressed up as for a high-society reception in “tails”, and entrusting them with stage management either as observers or active participants. Their different costumes in black explicitly tell that they have been empowered. The cast demonstrated well-rehearsed ensemble, and great support for them was the orchestra exceptionally conducted by Alain Altinoglu. He also received well-earned ovations from the audience on the curtain call. 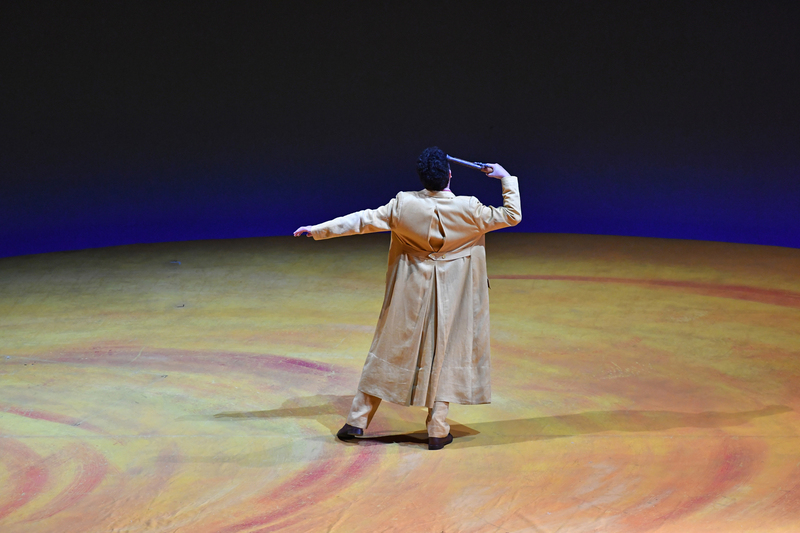 The tempi for most of the performance were brisk and energetic, and even in the dramatically charged scenes the energy created at the pit did not dissipate. The support for the singers was extraordinary, none of them got covered, and the balance was good at all times. The hero of the night undoubtfully was Piotr Beczala. The audience was well informed that he has done the encore on previous performances, thus there were certain expectations in the air for extraordinary performance. The clear, sustained tone, impeccable legato, and bright top notes are his trademark. His ability to project emotion through his voice only is well known and referring to the recent interview, where Beczala emphasised that he is singer primarily, not an actor, I need to tell that this performance is the proof that his dramatic abilities are at par with his vocal gift and cultured perfection. Probably, the confidence he has gained by singing Werther during last few years has let him relax and to become an engaged and attractive performer, who can develop both stage charisma as well as that unmistakable chemistry with a stage partner. I am very happy that I had the opportunity to witness such complete, encompassing operatic experience. Bravo! Anna Catarina Antonacci as Charlotte did great stage job – she is mature and flawless actress, while her vocal performance occasionally slipped, especially at lower chest register, and sometimes her wide vibrato at the top made me question if the role still fits her vocal abilities. The emotion was here, and partnering with Beczala she gave us all the palette of emotional turmoil this young heroine had to overcome. She created portrayal of distinctive, deeply suffering and thorn woman, and the interpretation is quite different from previously seen protagonists, created by either Elīna Garanča or Angela Brower. Very pleasant surprise was Sophie by Elena Sancho Pereg, her bright, clear, agile soprano illustrating innocence and enthusiasm of a young girl. 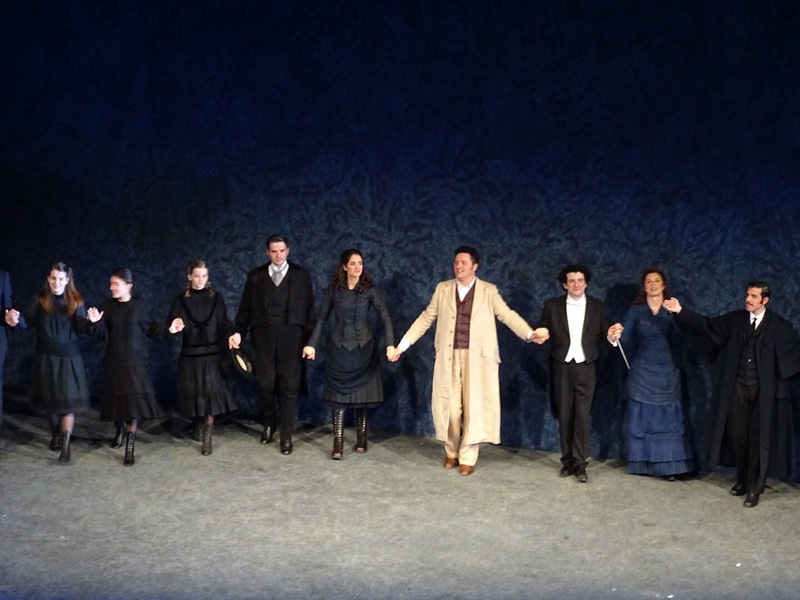 Also, the audience received her performance well and rewarded with ovations at the curtain call. Well sung performance by Stefano Palatchi as Le Bailli with his rich baritone and clear diction, as well as vocally convincing Albert by Joan Martin -Royo. The performance of both Schmidt by Antoni Comas and Johann by Marc Canturri was impressive both vocally and dramatically. At the third and fourth act, the set dims, colours get bleak, meanwhile, the intensity of conflict and emotions escalate while hiding deep within. It is like our lives – the deepest suffering and unreversible decisions are born and executed in a dull solitude. Better to stay on the sunny side, Werther.. Lyric drama in four acts. Libretto by Édouard Blau, Paul Milliet and Georges Hartmann. World premiere: 16/02/1892, Vienna Opera. First staged in Barcelona: 29/04/1899, Liceu. Last Liceu performance: 19/07/1992. Total Liceu performances: 51. Performance on January 28th, 2017. Next Post: Revolution personalised: Jonas Kaufmann as Andrea Chénier in Munich. I saw this same production when it premiered here in Frankfurt in 2005 — and several times since then in revivals. Glad you liked it!